I love a hot chocolate. In the morning when I get to work, when I am out in a cafe or at home as a way to unwind after a long day. 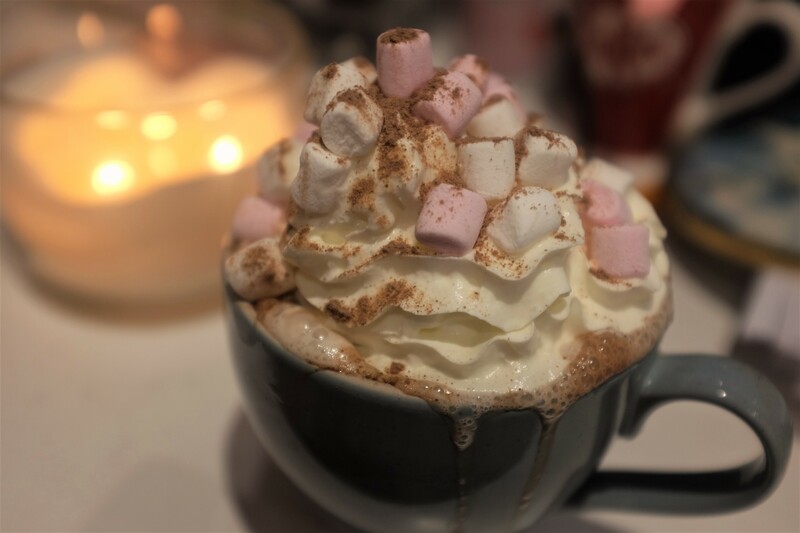 Cream and marshmallows are usually reserved for the ones that are made for me in a cafe but that seemed a little sad when I could make a super cosy one with all the bells and whistles on a cold evening. Simply due to price and it being easy to get hold of, I tend to just use standard squirty cream but you can get a vegan squirty cream from the odd hidden location. The marshmallows here are another own brand product and just Asda mini pink and white ones to sit on top of the cream before melting into the Cadbury’s drinking chocolate. After much umming and ahhing I did decided to go for the drinking chocolate that only really works if you mix it with warm milk rather than water. In fact doing this actually is less effort than boiling the kettle because I just mix the powder and milk together in a mug before popping it into the microwave. Doing the hot chocolate itself in the mug in the microwave seems to really give it that creamy and chocolate depth to it and there does not end up being any bits or lumps to battle with as well. It allows you to give it a little whisk up and a small froth appears on the top; nothing of great proportions but it already helps to make it feel like a cosy little treat. Part of me thought about getting the Bourneville drinking chocolate as its darkness would be counteracted with the cream and marshmallows but this does depend on a constant supply of all three. It is nothing groundbreaking but it does make it a really special moment of relaxation, especially with a candle lit and being snuggled into a blanket on an evening instead of just having some chocolate mixture mixed with water and ending up a bit lumpy and tasteless. 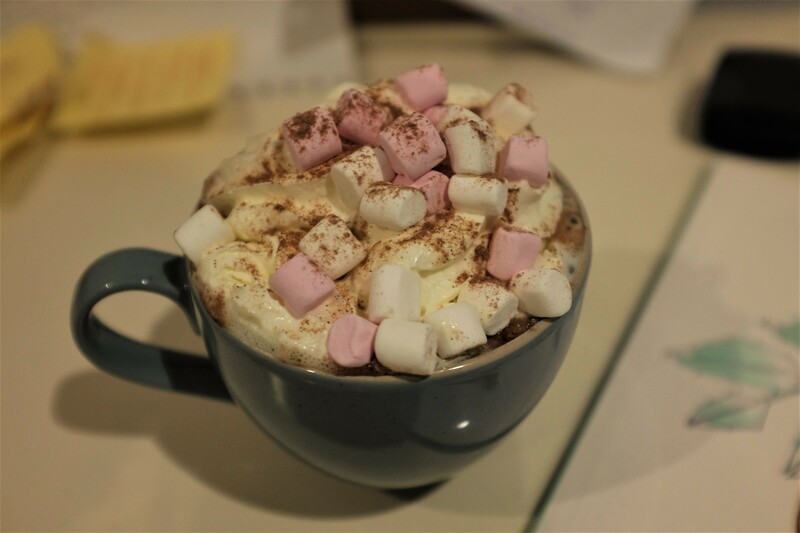 What do you do to up your hot chocolate game? Let me know in the comments below. This entry was posted in Food and Drink, Recipes and tagged cream, Drink, food, food blog, food blogger, food bloggers, hot drink, joyful, lblog, lblogger, lbloggers, life, Lifestyle, lifestyle blog, lifestyle blogger, lifestyle bloggers, marshmallow, mug, Recipe, selfcare, tasty, treat, yummy. Bookmark the permalink.